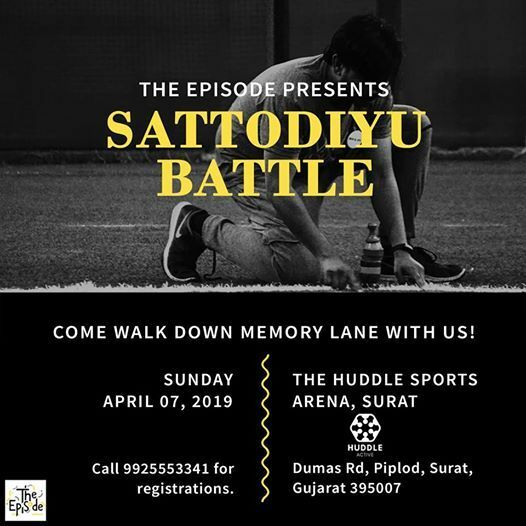 To give your recreation and fitness routine a fun shake up, THE EPISODE is bringing to you it's first event in Surat, a SATTODIYU BATTLE. 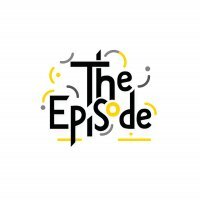 The game as you know is simple! Knock down the pile, restore it and don't get hit. 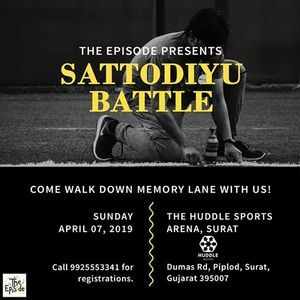 Come walk down memory lane with us and bring your competitive spirit for Sattodiyu! The more players we have, the bigger the prizes, so call up everyone you know. 4 players make one team. Registration charges - Rs. 300 per player.